Dear Sir, Over the last few months the stock prices of Housing Finance companies (HFCs) have corrected a lot with some of the stocks down more than 40-60%. 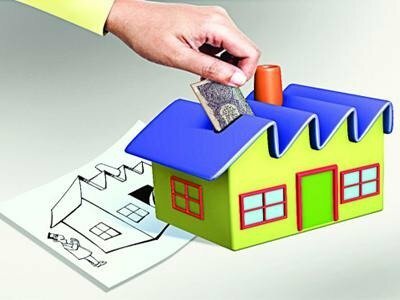 Even one of our recommendations Can Fin Homes (NSE: CANFINHOME) is down more than 50%; however the beauty of investing in stocks is that despite the stock being down more than 50% from its all time high, it is still up ~800% in 5 years from our recommendation price of Rs 31.…..
Do you have these 7 traits to be a successful Investor? Dear Sir, I recently came across a very good talk delivered by Mark Sellers to Harvard MBA students and it’s not about how to be a successful investor; it’s rather about the few common traits the successful investors share. 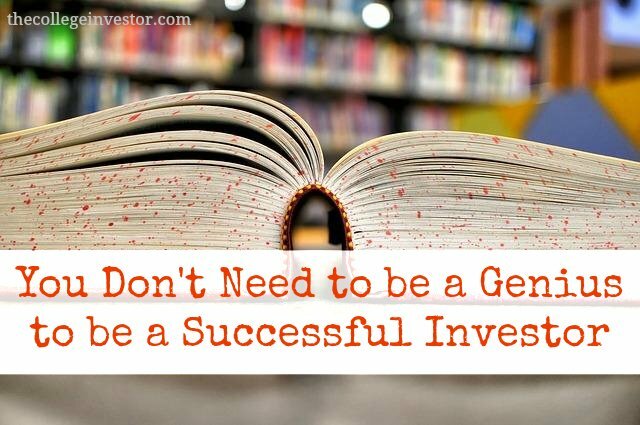 Before reading further, one thing that should make you happy is that you don’t necessarily have to be a CA, CFA, MBA, etc to be a successful investor. Being one of those does give you a head start in analyzing financial…..
Dear Sir, We presented a stock idea at the recently concluded 20-20 Ideas summit of TIA. Our presentation was on Manappuram Finance Ltd (NSE Code – MANAPPURAM). The same can be accessed below. 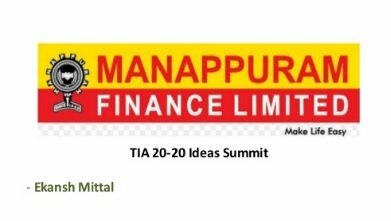 Manappuram Finance: Ekansh Mittal – TIA Presentation 2018 from Katalyst Wealth Disclosure: I have personal investment in Manappuram Finance and the stock has been recommended to clients as well. Best Regards, Ekansh Mittal Research Analyst http://www.katalystwealth.com/ Ph. : +91-727-5050062, Mob: +91-9818866676 Email: info@katalystwealth.com Research Analyst Details Name: Ekansh Mittal …..
Bad markets…What should be investor’s strategy? Dear Sir, It’s often said you don’t get good markets and good buying opportunity at the same time. Remember 2009, 2011-2013, all these were bad years for the market, but great years for stock picking. We believe the same will hold true for 2018-19 as well. Stocks have seen decent correction in the last 7-8 months. Previously only the small and mid caps were taking the beating; it’s good that even large caps have started correcting now. Small cap index…..
Dear Sir, On 1st Sep’18 we shared coverage closure update with our premium members and the same is produced below for your reference. 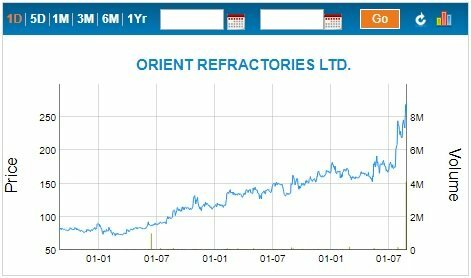 Orient Refractories (NSE – ORIENTREF) – Jan’14 Alpha stock Date: 1st Sep’18 CMP – 274.50 (BSE); 275.50 (NSE) Rating – Negative and coverage closure; this is not an investment advice (refer rating interpretation) Orient Refractories 3 Year’s price chart Source: BSE India Orient Refractories investment recommendation was initiated in Jan’14 at around 42 odd levels. Since then the…..
Dear Sir, We are very happy to inform you that on the back of popular demand and for the benefit of our premium members we have launched Model Portfolio service on 15th Aug’18 Model Portfolio service is being offered only under the following two subscriptions: Alpha & Model Portfolio and Alpha + & Model Portfolio. Note: Existing Alpha/Alpha + members can mail us on info@katalystwealth.com for payment details on Model Portfolio service. Model Portfolio Over the last 7….. Heads you win…tails you can win too!! You may have heard of Heads you win…tails you lose, however at times one does get an opportunity with the proposition of Heads you win and tails you win too, and we believe it’s important to keep participating in such opportunities because when you participate in several such opportunities you increase your probability of winning. Well, we have released our Jun’18 Special situation opportunity for our Alpha + members which offers the same proposition and would like to share with you details on the same.….. When you like the prospects of any particular company and find out that promoter himself is buying the shares from the open market then it’s almost always a big positive because they are the ones running the company and know the prospects better than anyone else. And if we as investors are able to buy such stocks during periods of market correction and at prices lower than purchase price of promoters; then future returns mostly turn out to be very…..
We keep saying that besides long term investment, one should also look at Special situation opportunities like de-mergers, buy-backs, de-listings, etc because in a lot of such cases the correlation with the markets is much lower and therefore such opportunities add stability to the portfolio and deliver additional gains. While long term investment results in wealth creation; the benefits of special situations should not be ignored. In line with the same philosophy, we recently shared DB Corp’s buy-back Special situation opportunity with…..